Home News 8 Promising Footballers to Watch this Season! Every player has a story to tell, but some are more exciting than others especially those that are still under. The radar with the well-cut pipes slowly dying down and teams scrambling to find the best deal as possible. Everyone is looking for the most promising footballers around the globe. Scouts and agents take note. We’ve collected a bunch of them to make your lives easier, here is our list of the top 10 players to look out for this season. The ex Barcelona player was meant to be Lionel Messi’s replacement and showed promising signs after appearing in the Croatian national side at the age of 16, the country’s youngest ever debutante but like so many wonder kids he didn’t live up to the hype. Disappointing spells at Sporting Gijón, Hamburg and Las Palmas followed but joining AC Milan could be just the opportunity for the young playmaker to rise back to the top. One of Arsene Wengers last signings will get a very good chance to prove himself under Unai Emery. He’s already impressed fans during the Gunners defeat Old Trafford last season and Koscielny’s long-term injury coupled with the declining powers of Mustafi could very well mean that he’ll have the perfect opportunity to take the bull by the horns. Not many expected the former Porto player to take a deep dive to the Championship even with the influence of Jorge Mendes. It took a club and league record transfer fee to sign him there but he was instrumental in getting them back to the promised land. If he can keep up the sublime play on display last season, you can bet a pretty penny that he’ll be moving on to a bigger club. 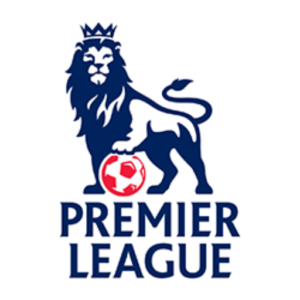 With the Premier League starting soon you should checkout this list of sports betting sites to find the best possible odds on Wolves staying up. Neutral fans all breathed a sigh of relief as Fulham’s attractive football prevailed Aston Villa in the Championship playoffs because it meant that the exciting youngster will now get the opportunity to perform on the biggest stage of English football. He was already quite impressive the previous season, grabbing the attention of elite teams both in a Premier League and on the continent but having decided to take it slow he’s been rewarded with the Championship Player of the season award alongside four other individual honours. He’s already had his breakout year but there’s no reason why he couldn’t push the envelope even further this time round. One of the World Cups rising stars, the Mexican midfielder currently plies his trade at PSV Eindhoven but it’s quite unlikely that he will stay there much longer as Lozano has recently signed up with super agent Mino Raiola. One of the most promising players to wear the Mexican jersey in recent memory it’s quite likely that his meteoric rise will continue through the upcoming season. While his incredible breakout season for Roma and the club’s unlikely journey to the Champions League semi-finals already caught a lot of attention, his name never really came up in the best keeper of all time sort of discussions that such a price tag would justify. It will be interesting to see how quickly he can adapt to the Premier League under Jurgen Klopp. From Lille to Stuttgart to holding the World Cup trophy, the French defender famously watched Euro 2016 from a fan zone before quickly becoming a key player in their winning campaign this summer. He’ll be joining Bayern Munich sooner rather than later if reports are to be believed and it will be very interesting to see how he’ll cope with a spotlight.